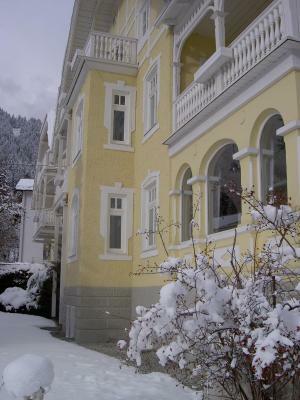 Lock in a great price for Hotel Garni Hubertus – rated 8.6 by recent guests! 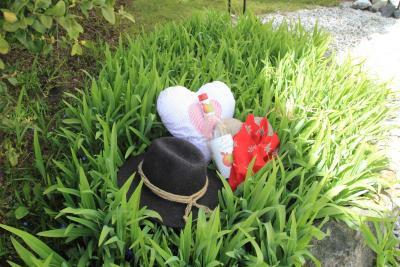 We found that property's cleanless and location stand out as main strenghts. 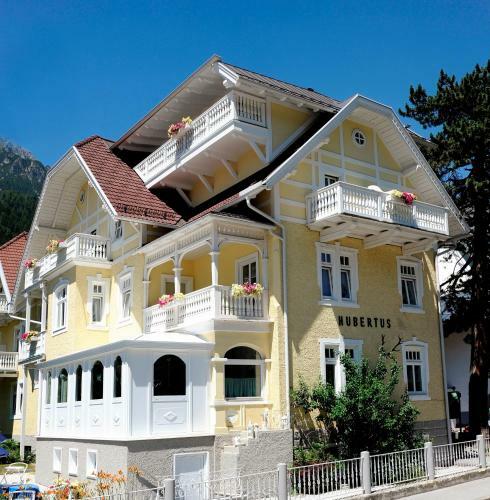 Nice accommodation, beautiful Austrian Alpine-style building, as per pics. 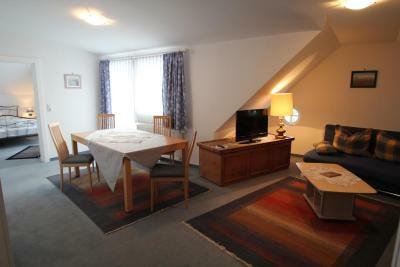 Very convenient location, close to ski bus stop, only about 30' from Innsbruck. The spa area is also quite pleasant. Very friendly host. Great location. Lovely swimming pool and excellent breakfast. We had a very nice week at the hotel. 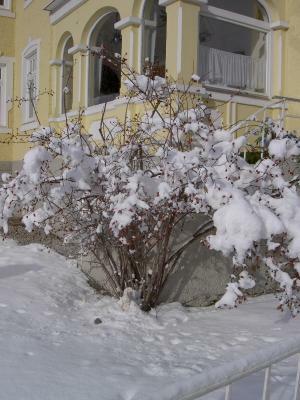 The location is great right in the center of Fulpmes near all kinds of facilities like Bank, shops, restaurants and of course the Schlick2000 Schigebiet. We could park our car in front of the hotel the whole week. The weather was perfect during our stay. We had two rooms and they were next to each other as we had requested. 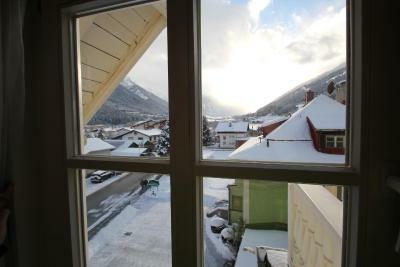 The rooms were great and spacy with a nice balcony and mountain-view. The pool was nice and the children enjoyed it. The breakfast was great with lots of fruits, vegetables and local specialties. The hostess and her family were very friendly and they did lots of extras like the glühwein party in front of the hotel which we enjoyed. Staff was really friendly and gave us very good tourism tips. 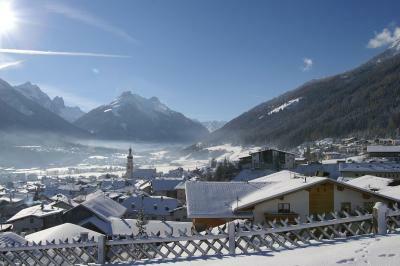 Location is great within the Stubai valley and close to the Schlick 2000 Ski area. Bedroom had a great view, the welcome cookies gave it a great touch. 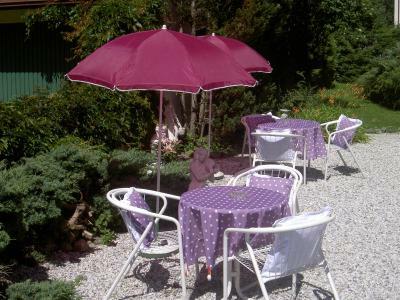 the owner is a wonderfull person, always available and very kind. The hotel is located in the town. Lovely welcome great Hotel,staff and breakfast..well done! Very nice place and very nice staff. Love to stay again. Clean, comfortable and lovely breakfast, with a very good selection of food. Parking without problems, good breakfast, nice staff , pool open all day, aprox. 50m next to hotel very good pizza restaurant. 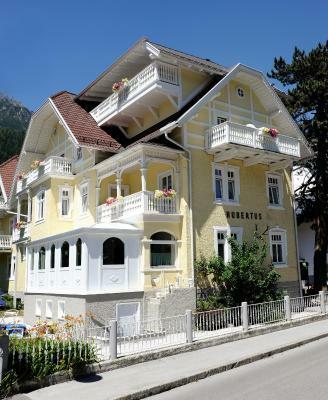 Hotel Garni Hubertus This rating is a reflection of how the property compares to the industry standard when it comes to price, facilities and services available. It's based on a self-evaluation by the property. Use this rating to help choose your stay! 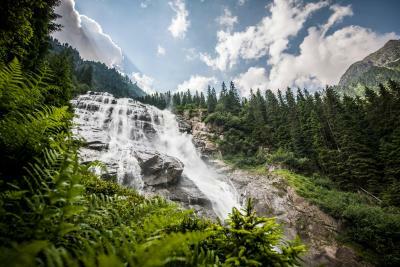 Located in Fulpmes in the Stubai Valley, Hotel-Garni Hubertus offers a spa area with an indoor pool. In winter, the free ski bus stops 350 feet away. Free parking is available on site. 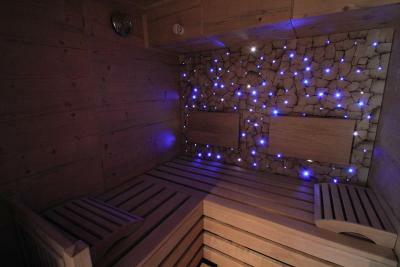 The spa area features an indoor pool including massage function, a Finnish sauna, a Bio sauna, an infrared cabin and further wellness features. Guests can relax in the garden and the small library in the lobby. The rooms at the Hubertus Hotel offer panoramic mountain or glacier views and are equipped with a flat-screen satellite TV and a hairdryer. 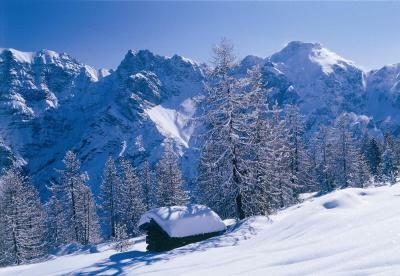 In winter, all skiing and hiking areas in the valley, including Schlick 2000 and the Stubai Glacier, can be reached with the free local bus. 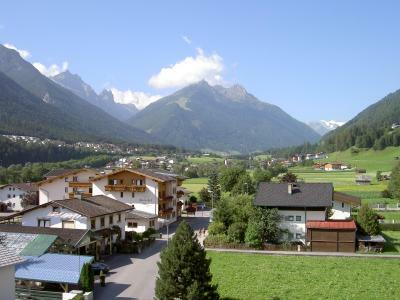 Innsbruck and the nearest golf course are 12 mi away. A ski rental is available just a 2-minute walk away. 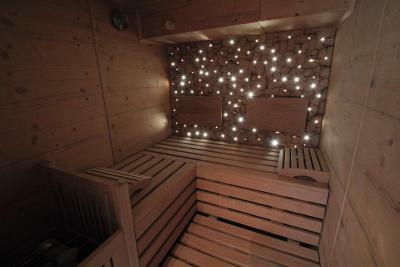 A heated ski storage room with a ski boot dryer is available on site. In summer, city-bikes can be rented free of charge upon request. Various restaurants are located near the Hotel Garni Hubertus. This is our guests' favorite part of Fulpmes, according to independent reviews. 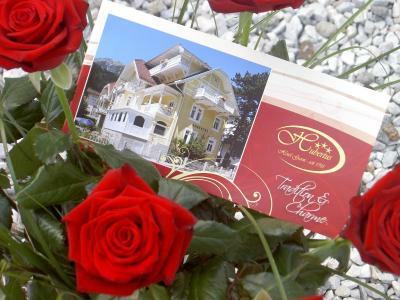 When would you like to stay at Hotel Garni Hubertus? Some of the rooms feature a balcony with panoramic views. Please note that the room rate is based on 2 guests. Maximum occupancy is 3 guests (see Property Policies). Please inform the hotel about the age of the third person when booking. Room featuring a bathroom with a shower, a vanity mirror and a toilet. 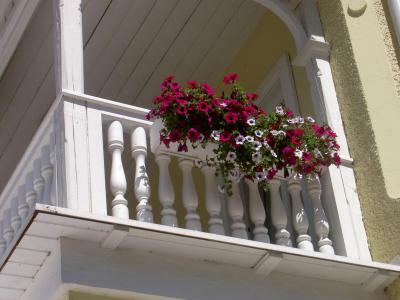 Rooms with a balcony can be provided on request (subject to availability). This suite includes 2 bedrooms, a room with a large sofa bed, a large living room with a sofa bed and 2 flat-screen satellite TVs. It comes with a balcony with panoramic views. The bathroom is fitted with a double sink and there is a separate toilet. This suite features a double bedroom and a room with a large sofa bed (the rooms feature a connecting door). It also comes with a seating area, a south-facing balcony with impressive mountain views, 2 TVs, and a bathroom with a shower. A hairdryer is available on request. This room has a steep roof pitch and the access to the shower is narrow and slightly restricted by the roof pitch (see photo). Offering views of the Stubai Glacier and the Kreuzjoch Mountain, this suite on the intermediate story features 2 separate bedrooms and bathrooms with a vanity mirror. One bedroom is 66 ft², and the other is 72 ft² in size. They feature a shared hall and a connecting door. Both rooms offer a seating area, radio, telephone, and flat-screen TV. The larger room offers also a sofa. Offering views of the Stubai Glacier and the Kreuzjoch Mountain, this suite on the first floor features 2 separate bedrooms and bathrooms with a vanity mirror. One bedroom is 66 ft², and the other is 72 ft² in size. They feature a shared hall and a connecting door. Both rooms offer a seating area, radio, telephone, and flat-screen TV. The larger room offers also a sofa. Please, note we do not accept credit Cards and ec. We beg our Clients to pay in cash. House Rules Hotel Garni Hubertus takes special requests – add in the next step! Please inform Hotel-Garni Hubertus in advance if you expect to arrive after 20:00. Arrival after 21:00 is not possible. Contact details are stated in the booking confirmation. Please be informed that it is not allowed to take strollers, bicycles etc into the room. Please note that parking areas for trailers, busses, trucks and boats are only available on request and directly with the Reservation and confirmation of the hotel. Without confirmation of the hotel, a parking space cannot be guaranteed. Please inform Hotel Garni Hubertus of your expected arrival time in advance. You can use the Special Requests box when booking, or contact the property directly using the contact details in your confirmation. Booking.com rates the hotel as 'fabulous' so our expectations regarding the place were really very high. We liked the property but would assess it as 'very good' - value for money, facilities and breakfast impacting the score the most. The fact that the price for the night incorporated the cost of breakfast (about £11) even if I did not actually have it, due to the fact I had to leave earlier. My wife thought the bed matras was rather hard to sleep on but that is a personal issue. We did not find bathing gowns in our room from the start but not a big deal. We could have asked for it. For the rest all was ok.
Can do bit more work with the WIFI. Breakfast was good but not magical. Hotel has no bar…. If the hotel is full, there is a problem with a parking place. They should have more parking places. An ideal place for a stay when traveling from Poland to Italy. Nice staff, cozy room. Good breakfast. There was elevator. My old father was having real problem.